Up-and-coming stage director Clifton Guterman didn’t know much about James Beard until he read I Love to Eat, a one-man play about the iconic cookbook author, television pioneer, and father of the American food movement. “I didn’t know that he was gay, honestly,” says Guterman, the associate artistic director of downtown’s Theatrical Outfit. 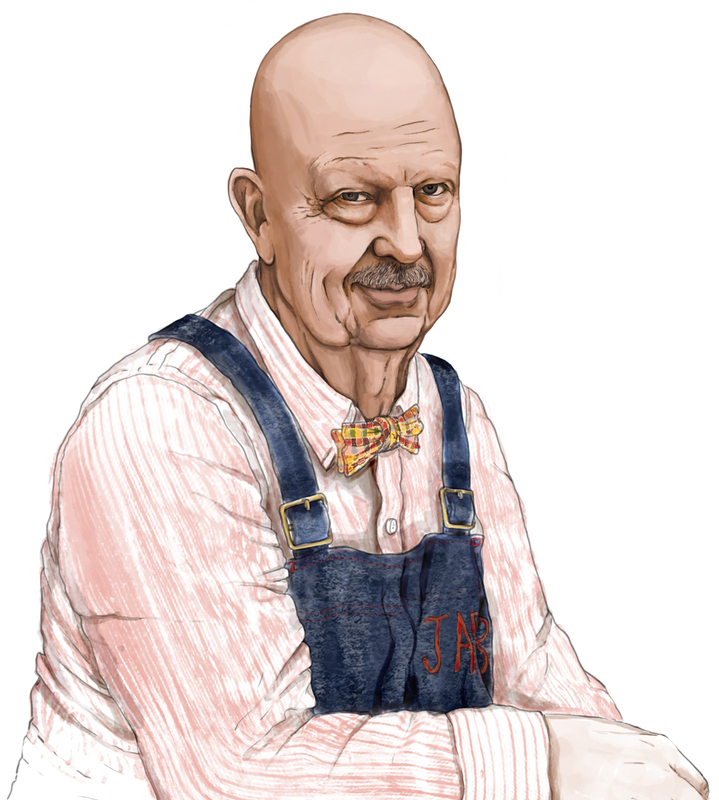 The playwright, James Still, lives in Los Angeles but understood Atlanta to be a city of foodies, most of them aware of the prestigious James Beard Awards (the so-called Oscars of the food world) but not necessarily of the man himself. Still pitched his script to Guterman at just the right moment, when Guterman was shopping for a play to mark his professional directing debut. The Beard Awards were established in 1990 to honor excellence in the culinary field. Coincidentally, Theatrical Outfit’s I Love to Eat, which runs April 10 to May 5, overlaps with the 2019 Beard season: Media honors will be handed out April 26 in New York, restaurant and chef awards on May 6 in Chicago. Last October, the Beard Awards took steps “to increase gender, race, and ethnic representation” among committee members, judges, and entrants. Now, works like I Love to Eat and a forthcoming Beard biography by California writer John Birdsall are poised to help foster discussions on gender equity and Beard’s queerness. Born in Portland, Oregon, in 1903, James Andrew Beard weighed 14 pounds at birth. He briefly attended Portland’s Reed College but was kicked out for having an affair with a professor. His dream of working in theater never took off. However, he excelled at going to parties and making canapés, a skill that led him to open Hors d’Oeuvre, Inc., a small New York food shop, in 1937. From there, his culinary career blossomed. In 1946, he hosted television’s first cooking show, and he went on to author more than 20 cookbooks. The play depicts Beard as a chatty, opera-loving bon vivant who wears Chinese pajamas and slippers and sips Glenlivet on the rocks. Alternately singing the praises of American cooking and fresh seasonal ingredients and fretting that his numerous product endorsements could make him look shallow, the grand poo-bah fields calls from a “Mrs. Martin in Kansas” (who is having trouble with her soufflé) and his dear friend Julia Child (whom he adored and whose success he envied).